"What the government is going to propose will come as a surprise for our pseudo-reformers and populists." 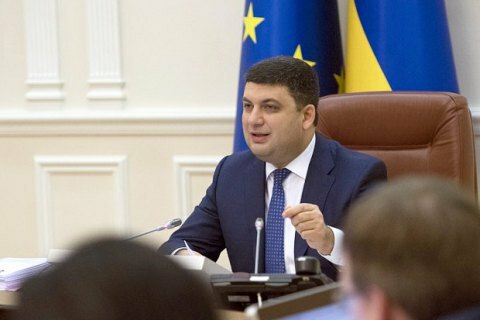 The draft land reform legislation that will be proposed by the government will surprise "pseudo-reformers and populists," Prime Minister Volodymyr Groysman told a Cabinet meeting on Monday, 3 April. "We will offer a qualitative model of land turnover, not in the interests of large agro-holdings, not in the interests of foreign investors, but in the interests of Ukrainian citizens. The reform that we will suggest will be based on these three criteria," the head of government said. Groysman stressed that the model developed by the Cabinet is supported by Ukraine's international partners. On 17 February, 55 lawmakers submitted a petition to the Constitutional Court asking to void the land sale moratorium. The temporary ban on the sale of agricultural land in Ukraine has been extended for years as the proponents of the moratorium claimed that Ukraine has yet to decide on the model of the land market. The abolition of the moratorium is required by the International Monetary Fund and supported by leading Ukrainian economists. Cabinet plans an increase in pensions since Oct.